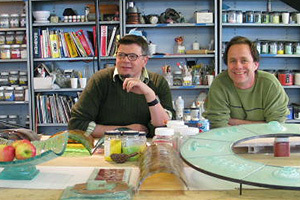 The Washington Glass Studio was established in 2001 with a vision to deliver high quality large-scale art and architectural projects into the public domain. The Studio brings together Washington Area sculptors, increasing the opportunities of individual and collaborative sculptural work and creating venues for public interaction with the art. This includes all forms and techniques of glass along with metal, concrete, lighting, electronics, architecture and other sculptural media. The Washington Glass Studio is focused on providing Public Art projects and private commissions incorporating glass as a sculptural element and through collaboration with artists working in different media. To promote glass as a viable sculptural medium in the creation of art in a wide range of scales for the private and public realm. be the educational and community resource for glass and sculpture. We are a fully equipped studio addressing all facets of glass and multimedia artwork and sculpture. There are kilns of various sizes to support the glass processes and can accommodate glass works/components of up to five feet in length. A full range of equipment and tools for creating and finishing artwork, sculpture and lighting is employed by the studio. The signature work of Washington Glass Studio is kiln-cast deep relief glass available in large and small sizes and in variety of colors. Washington Glass Studio’s glass artwork can be incorporated into almost any interior or exterior architectural situation.